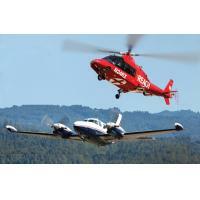 REACH Air Medical Services is committed to "going green". Committed maintenance on all REACH aircraft's reducing air toxins. REACH is also committed to reducing paper waste by creating a website for online REACH for Life membership enrollment. 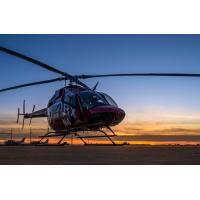 REACH for Life Membership - Air Ambulance Membership. Great News! 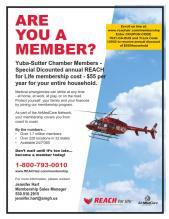 Your Yuba/Sutter Chamber of Commerce has partnered with REACH Air Medical Services to provide you, as a Chamber Member Business, the ability to give your employees a discount on their REACH for Life Membership. Because your business is a member of the Chamber, your employees are eligible to purchase this valuable membership at a substantial discount. Protect your entire household for $55/year - entire medical transport covered 100%. Providing Peace of Mind - no out of pocket expense. In addition to the individual membership discount, your REACH for Life I can offer you other convenient and affordable options for providing your employees membership as a company benefit, either company or employee paid. One of the most popular options is our very affordable and convenient Payroll Deduct Plan. Call me today to discuss how I can help you take advantage of this invaluable protection at 530-510-2915 or email me at jennifer.hart@amgh.us. REACH for Life is proud to be a part of AirMedCare Network - membership offers you reciprocity among more than 200 helicopter and airplane bases coast-to-coast, across 28 States. Yuba/Sutter Chamber members - join REACH on May 19th at our local base in Marysville at our Chamber Mixer. Join us in celebrating 10 years serving the Yuba/Sutter and surrounding Counties. 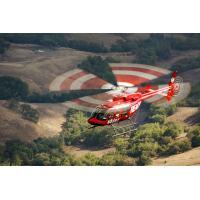 Emergency Air Medical Transport - A REACH for Life Air Ambulance Membership covers the complete cost of an Emergency Medical Transport by REACH or one of our partnering programs under our AirMedCare Network. All Chamber Members receive a disount with our program - $55/household covers the entire cost of an Emergency Medical Transport to a hospital or between hospitals for Higher Level of Care across 28 States. Enroll your employees in our program as an added benefit - discounted rates are available. Contact Jennifer Hart 530-510-2915 or email jennifer.hart@amgh.us. Looking forward to seeing you all there. REACH offers a Lunch and Learn Program for all Companies and their employees. Let us bring lunch and have a general discussion regarding air ambulance and membership in your area and across the United States. This is a platform for questions and answers.